Convert scanned image to Word and RTF. Retain page layouts in conversion. Convert encrypted PDF to Word. 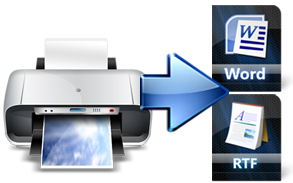 VeryPDF Scan to Word OCR Converter can be used to convert scanned image or text to Word or RTF document. With the best OCR technology in the market, the application can retain the original layout perfectly. Scan to Word OCR Converter can recognize six kinds of languages, including English, French, German, Italian, Spanish and Portuguese. The application also enables users to specify the converted page range. Scan to Word OCR Converter can convert scanned image to editable Word or RTF document. Just add the scanned image document to the application and choose a suitable output option, it will do the conversion successfully in a short while. If you want to convert image to Word document and retain the original layout well, please choose Scan to Word OCR Converter. OCR technology enables users to choose two output options—Original layout without text boxes and original layout with text box. It's up to your requirement. Scan to Word OCR Converter can convert encrypted PDF to Word. You can input the password in the application and choose a layout option and the application will do the work for you itself. You can also select page range in the conversion according to your needs. Take the best OCR technology in the market. Support input formats: PDF, TIFF, JPG, PNG, BMP, TGA, PCX, EMF, WMF and PNM. 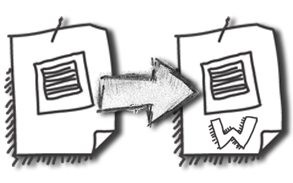 Convert scanned PDF files to editable Word or RTF documents in batches. Convert textual PDF files to editable Word or RTF documents in batches. Convert scanned images to editable Word or RTF documents in batches. 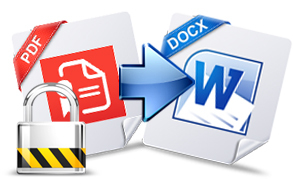 Convert encrypted PDF to editable Word to RTF. Support characters of multiple languages: English, French, German, Italian, Spanish and Portuguese.